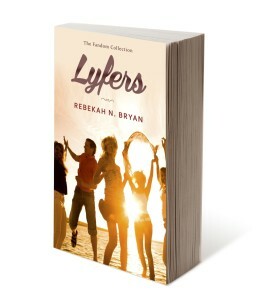 My new novel, Lyfers, will be released Tuesday, February 9. Until then, here’s a preview! “So what are the guys’ names again?” Cody hiked his duffel bag over his shoulder, flashing his tanned bicep to curious onlookers. The surrounding passengers had to be wondering who on earth was paying over a thousand dollars for this cruise but didn’t know the band. Some girls did double-takes when they caught sight of him. Cody was part of the handful of men surging toward the ramp leading up to the opening of the ship. Most of the female passengers dragged a suitcase on wheels behind them, while some adjusted overstuffed paisley quilted weekender bags on their shoulders. Still others clutched pillows, bringing the security of home along with them, because this pillow was hypoallergenic or perfectly curved to their head or stuffed with the finest goose down and would be far superior to the wimpy cruise ship pillows. Once on deck, the crowd fanned this way or that, the veterans en route to their favorite stateroom, dodging the newbies, like Cody, with their darting eyes and shuffling feet. “That’s her favorite.” Cody pointed his thumb at Darice. “Have you been on this cruise before?” asked Cody. Cody didn’t miss a beat. “Please go easy on us. Or don’t.” He winked. Luc took a deep breath, inhaling the salty sea air through his nose and exhaling through an O-shaped mouth. He wasn’t sure if he was ready for all this again. Each of the South American crew members nodded or shook his hand, and one hurried forward to take his rolling suitcase and duffel bag from his shoulder. Their tour manager Sandy was bringing any special matching boy band gear they were supposed to wear this weekend. The fans would be starting to show up in less than an hour. Luc tipped his head to Markus as they each emerged from their respective limos. Rusty waved from the top of the gangway. Rusty, Vaughn, and Sandy were waiting with more crew members and a heaping stack of suitcases. The last limo slowed to a stop with a quiet squeak of the tires. Braden stepped out and concealed his eyes with dark, skinny sunglasses. “What up, Bray?” called Markus. “Hey, man,” said Luc, following Markus over to greet Braden. They engaged in handshakes and half-hugs, and Braden led the way up the gangway, which rattled with every step, while Markus hung back by Luc. “We’re going to make a pact.” Markus shoved his shoulder into Luc’s to get his attention. Except with Markus’s comparatively scrawny frame, it was more like slamming into Luc’s elbow than his shoulder. Markus was average height at 5’9”, but he had been the shortest in the band by 1 inch ever since Rusty had a growth spurt at age 15, two years after they had formed 4 Lyfe. Because of this, Markus had a bit of a complex about his size and used physicality and physical appearance to make up for it. Oh, and alcohol. “Maybe the girls part, but not the gambling part. There’s a casino right downstairs.” His voice raised an octave on the last sentence, pleading with Markus to be reasonable. “Uh, because you’re not supposed to be gambling.” Markus poked him in the side of the head as if he was pushing the reset button on Luc’s brain. 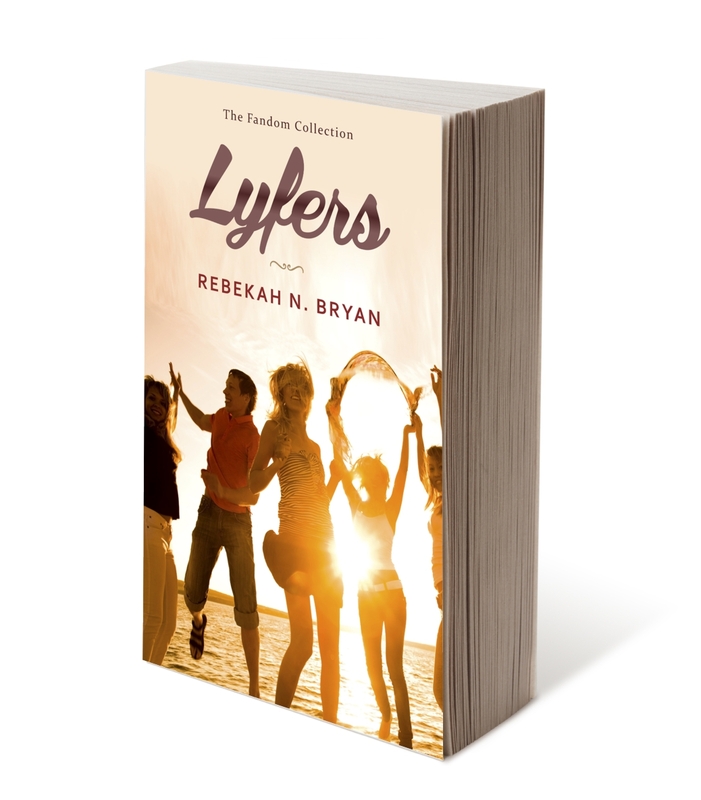 Lyfers, the next book in The Fandom Collection, will be released Tuesday, February 9! Over the next few weeks, I will be posting the first four chapters of the book to introduce you to each of the main characters. 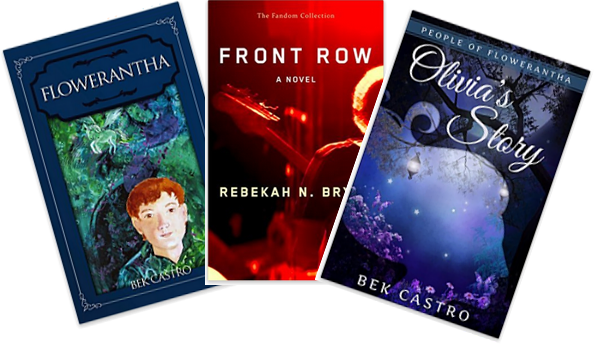 If you haven’t read Front Row yet, I will also be running a free book promotion in the days leading up to the release! So you will be able to pick up Front Row for free Saturday, February 6 through Wednesday, February 10. Description: A model, a recent college grad, and a stay-at-home-mom embark on the trip of a lifetime. Former model Jade is not as young as she used to be, and she struggles to keep up with the younger, newer fans. Cody, who is a dead ringer for one of the boy band members, wants one last hurrah with his best friend before he has to join the real world. Frankie left her husband and children at home to cut loose with her friends and her five favorite guys. But the super fans, who have dubbed themselves Lyfe Support, keep getting in their way. When these three groups of cruisers put their heads together, tricking security guards and masquerading as band members, they can outsmart even the savviest of fans. And maybe then, the band they love will finally notice them. All the while, Luc, the supposed least popular member of the band, needs to resist the myriad of temptations on the cruise ship to determine what really matters to him in life. Happy Thanksgiving to those in the US! From now until Monday, you can get Front Row for free on Amazon. Now with a new e-book cover! I’m still trying to find that sweet spot of what fits the genre and my story best. Ah the beauty of self-publishing. Also, this might change, but I noticed that Amazon has the paperback on sale for $4.99 right now. That’s the lowest I’m seen it yet! Hope you have a happy and safe holiday weekend with much turkey and shopping for all. This weekend, I am beyond excited to be attending Nerdcon: Stories, where I’ll get to see the likes of John Green, Patrick Rothfuss, and Rainbow Rowell, among others! As a special Nerdcon weekend offer, you can now get Flowerantha and Olivia’s Story for free Friday, Saturday, and Sunday! Front Row will also be free on Saturday!